SallyStrawberry: "Look Daddy, it's a pretty tent!" 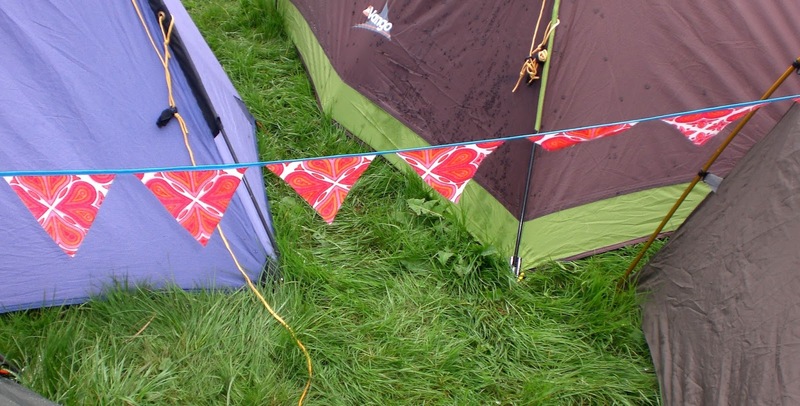 We spent a very wet, although fabulous weekend at the Green Man festival in South Wales. 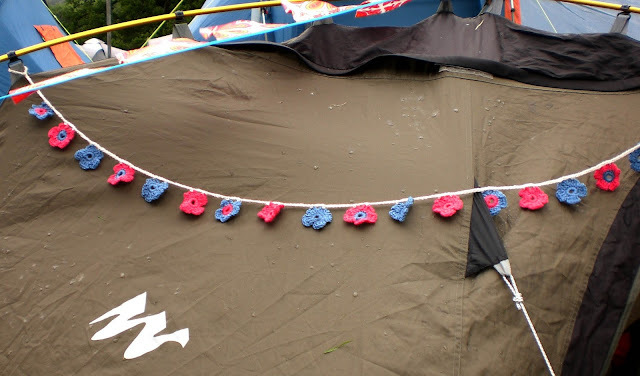 I couldn't pitch a tent at a festival without even a little bit of crochet, but as we put up our tents up in the rain Thursday evening I felt that my decorations may not make it out of the rucksack. 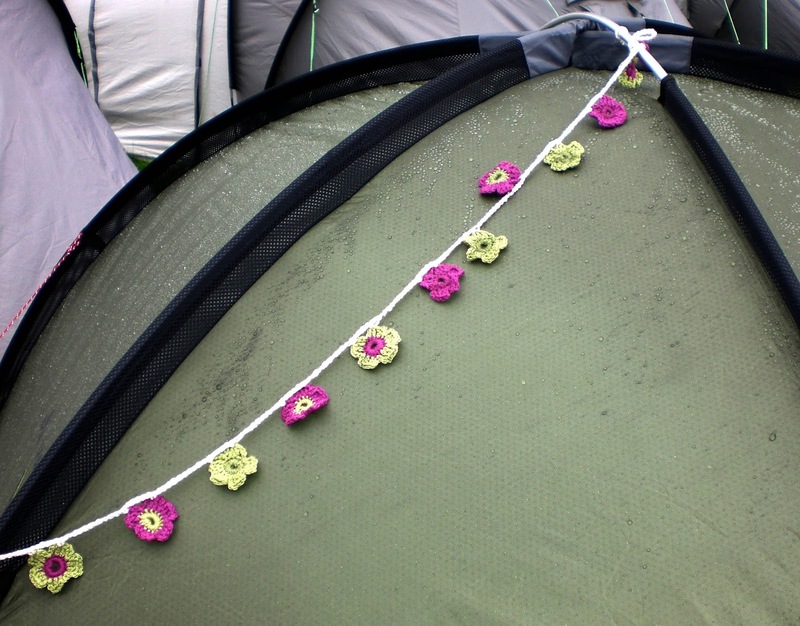 BUT, Friday morning, standing in the drizzle eating beans straight from the pan I thought, why not?